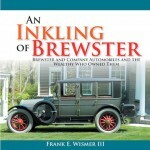 If this book were only about a new car—that isn’t even available in the US—it would be of limited appeal to a large number of our readers, although the new Superb is indeed sufficiently superb to be of interest even as a paper-only exercise. No, there is 30-page “Heritage” section that brings newbies up to speed, if only in a snapshot manner. Also, the book is very nicely photographed and quite design intensive so on that score too it deserves a look. Originally published in German it is actually remarkable that an English version was created and that you have to look no further than Amazon to find it. 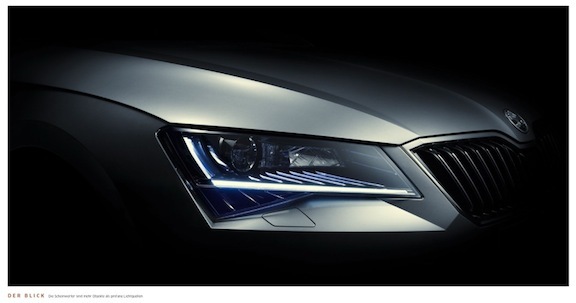 Will there be actual Škodas in US showrooms next? 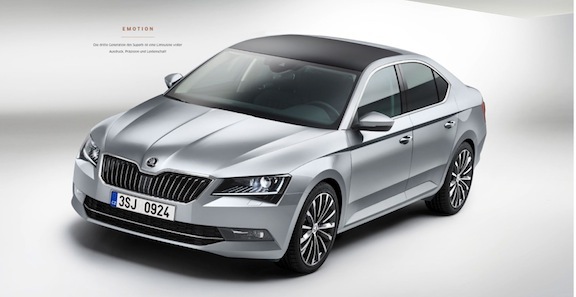 Czech car manufacturer Škoda Auto, founded in 1895 as Laurin & Klement, became part of Volkswagen Group in 2000. 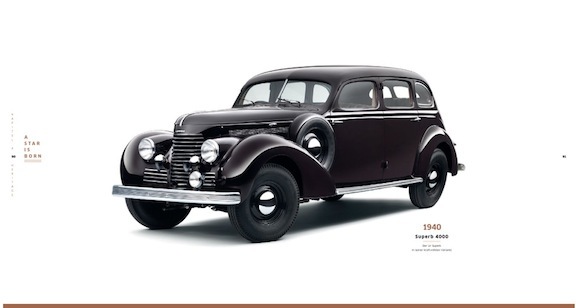 Their flagship Superb, produced since 2001 and using a model name first seen in 1934–49, is now in its third generation, all derived from the VW Passat. 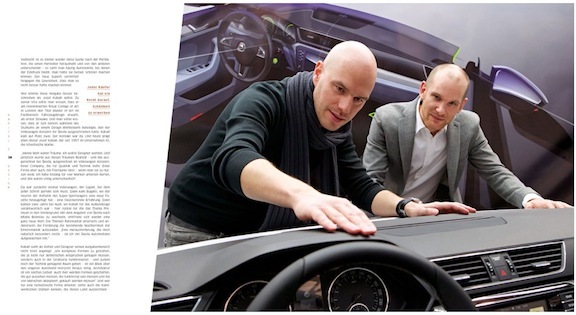 People who still care about VW will recall that VW once built something called a Phaeton, an $80,000 luxury/executive car on VW’s D1 platform that is shared with the Bentley Continental. While the Superb doesn’t aim nearly as high as that it is positioned as a large premium saloon and it is really quite amazing how many bells and whistles this car has (umbrellas that slide into the doors—take that, Rolls-Royce!). Now . . . this book . . . is very nice and pretty, and after reading it you’ll probably wonder what a fool you are for never owning a Škoda before. 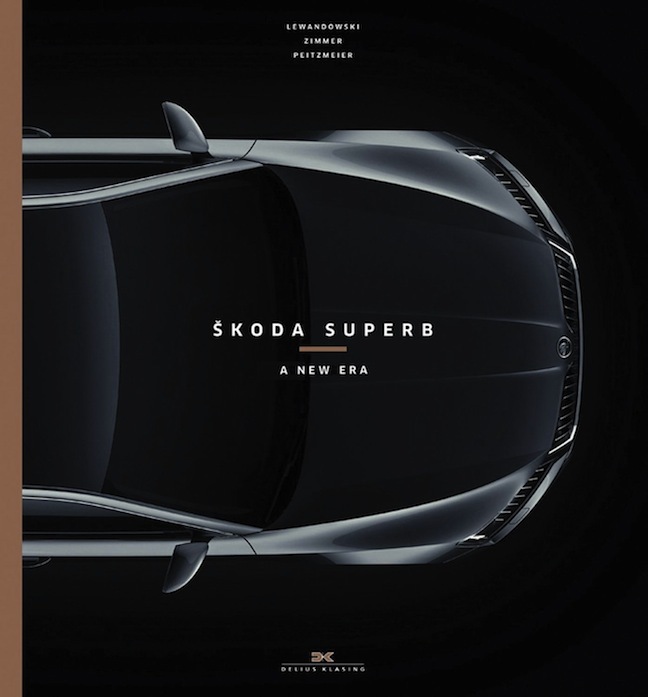 The publisher, Delius Klasing, has a “Corporate Publishing” division and, though it is not said anywhere, one can’t help but wonder if the car really is that good or if this book was made for/by Škoda? That the Foreword is by their Chairman of the Board and one chapter by their Head Designer is neither here nor there; besides, there’d be nothing wrong with that but it would explain why all is sunshine and light here. Also, co-author Zimmer freelances in that very division—but he’s also a proper journalist with decades of ink under his fingernails. And while we’re on that subject: Peitzmeier (b. 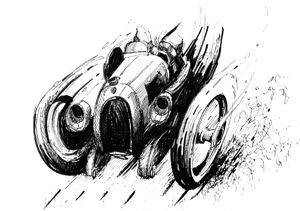 1964) is a card-carrying automotive journalist and amateur racer, and Lewandowski (b. 1950) really doesn’t need an introduction to anyone who’s been around books for a while. He’s written or edited more than five dozen, many for this publisher. After some 30 pages of photos and drawings (almost all from Škoda), Lewandowski takes the reader through the design and the brand image/values before Peitzmeier goes into detail about the details, mostly interior features and driver assist systems. 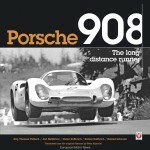 Think of this book as a dossier: “a collection of documents relating to a particular topic.” And just a really pretty book; about a really decent car.